Choose chemicals in a variety of forms, including aerosol, gel, liquid, powder, and spray. All of our options boast powerful cleaning abilities to give you the cleanest surface possible. Clean sinks, counters, floors, and even toilets with our commercial toilet bowl cleaner. 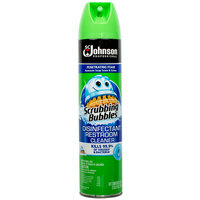 And, our various brushes and kits will also make cleaning easier for your janitorial staff. From toilets to drains, our commercial bathroom cleaner products will keep your restrooms tidy and welcoming. Choose from destainers, disinfectants, detergents, and more. We even offer environmentally friendly cleaning chemicals, as well. Brought to you from the most trusted vendors in the industry, these commercial bathroom cleaners are the perfect addition to your janitorial supply. 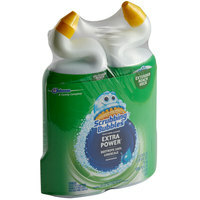 For even more great restroom cleaning products, you might want to check out our plungers and restroom cleaning brushes. And, to help keep your facility smelling great, consider investing in our urinal cakes and deodorizers / air fresheners. 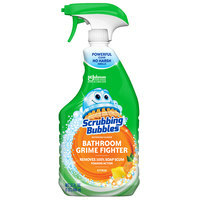 If you're wondering where to buy scrubbing bubbles restroom cleaning chemicals, we have a large selection of scrubbing bubbles restroom cleaning chemicals for sale at the lowest prices.